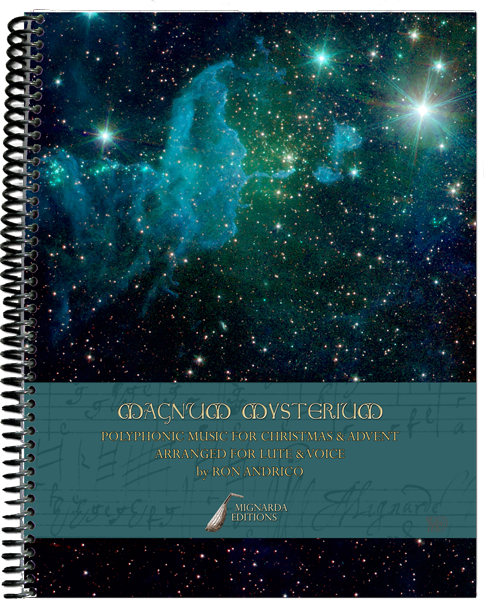 Intended as a companion to our new CD, Magnum Mysterium, this edition includes all of the music on the recording in order with ease of performance a primary consideration, and organized in two separate sections for voice and lute and for voice and keyboard. Each piece is newly transcribed from the original vocal part-music in sensitive arrangements that are kind to the fingers and rewarding to the ear. The vocal lines are also playable as a solo line for a melody instrument or for a second lute. 16 pieces in two sections (32 scores): Voice and Lute, and Voice and Keyboard. All music arranged for voice and lute or keyboard from the original part music, with the same selection of rare instrumentals as found on our recording. The edition features music from Mignarda's recording Magnum Mysterium, and includes introduction and background information, English translations of Latin and German texts, a description of the context and liturgical use of each piece where appropriate, performance notes & bibliography; spiral bound. $30.00 + 1st class USPS international shipping/handling. 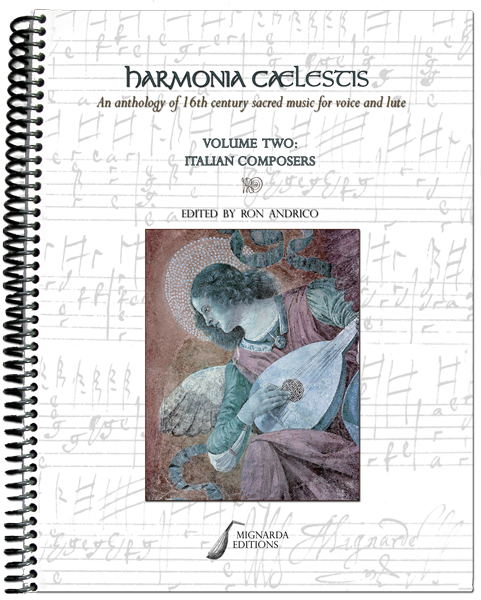 Volume II features motets and antiphons by Italian composers including Anerio, Banchieri and Croce, and several settings by Palestrina and Marenzio. Each piece is newly intabulated from the original vocal part-music in sensitive arrangements that are kind to the fingers and rewarding to the ear. If compatible singers are not to be found, the vocal lines are, of course, playable as a solo line for a melody instrument or a second lute. And with a generous selection of 16th-century motet intabulations, mass movements and themed fantasias for solo lute, this collection truly has something for all lutenists. 33 motets, several of which have a secunda pars, all arranged for voice and lute from the original part music, with an additional selection of 15 instrumental arrangements of motets, Mass movements, and themed fantasias from 16th century sources of lute music. 96 pages of music plus introduction and background information including English translations of Latin texts, a description of the context and liturgical use of each piece where appropriate, performance notes & bibliography; spiral bound. $50.00 + 1st class USPS international shipping/handling. While most informed lutenists of our age understand the significance of sacred repertory from the 16th century, many players stop short of exploring the music in favor of the dance tunes and fantasias. But a surprising amount of the best-known secular music makes passing reference to, or frequently quotes from sacred music that would have been recognized by contemporary musicians, and a working familiarity with 16th-century vocal polyphony greatly enhances our ability to play other genres of music from the period with a better understanding. A sampling of some of the best music from 16th-century Iberian composers including Brito, Guerrero, Morago, Morales, and Victora. Each piece is newly intabulated from the original vocal part-music in sensitive arrangements that are kind to the fingers and rewarding to the ear. If compatible singers are not to be found, the vocal lines are, of course, playable as a solo line for a melody instrument or a second lute. And with a generous selection of 16th-century motet intabulations, mass movements and themed fantasias for solo lute, this collection truly has something for all lutenists. 25 motets, several of which have a secunda pars, all arranged for voice and lute from the original part music, with an additional selection of instrumental arrangements of motets, Mass movements, and themed fantasias from 16th century sources. 91 pages of music, plus introduction, background information including biographical notes on the composers, English translations of Latin texts, a description of the context and liturgical use of each piece where appropriate, performance notes & bibliography; spiral bound. 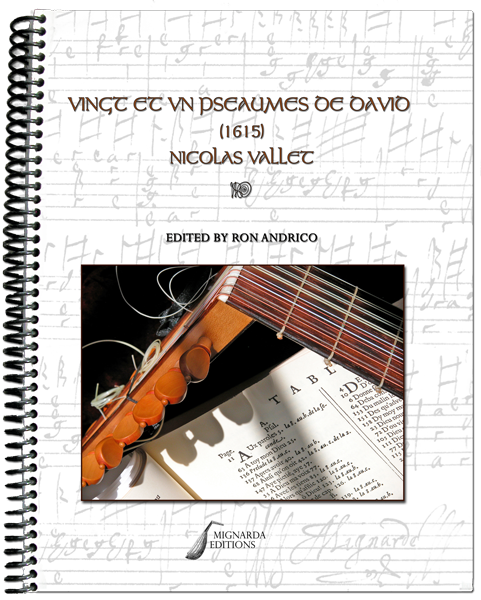 Nicolas Vallet's settings of twenty-one psalms for voice and lute, originally published as Vingt et vn Pseavmes de David, accommodès pour chanter & jouer de Luth Ensemble (1615), complete, newly transcribed and edited for performance in what we believe to be the first modern edition. Also included is a selection of instrumental psalm settings by Vallet drawn from Secretum Musarum, 1615 and 1616, as well as music from his collection of all 150 psalms, Regia pietas, hoc est Psalmi Davidici (1620). The versified French psalm texts by Clément Marot and Théodore de Bèze are given a new literal English translation and presented along with the same texts from the 1611 King James Bible for comparison. The music is for voice and 10-course lute in renaissance tuning, but all pieces can be played on an 8-course lute with minor adaptation of bass notes. 66 pages of music, plus introduction, performance notes, translations & bibliography; spiral bound. This entirely new collection consists of sixty-five pieces - some of the best music by both composers from diverse sources arranged by tonality for ease of performance. The music is for 10-course lute in renaissance tuning but all pieces can be played on an 8-course lute with minor adaptation of bass notes. Set in modern lute tablature with a period appearance, the book includes several pieces that have not yet appeared in modern edition from Vallet's Regia pietas (1620). 70 pages of music, plus introduction, performance notes, background information & bibliography; spiral bound. 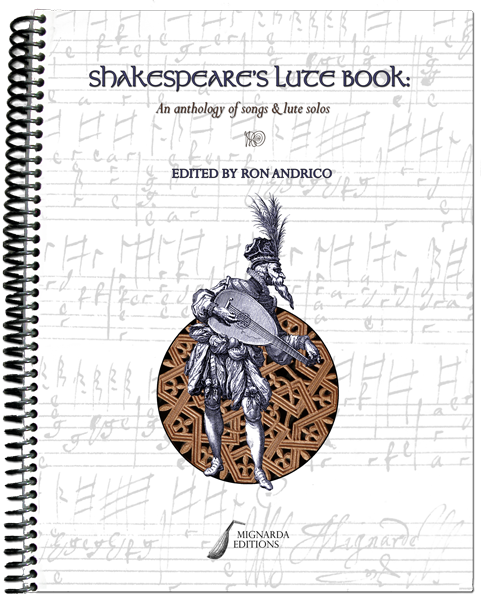 A collection of songs, dances, and ballad tunes referenced in many of Shakespeare's plays. Arranged by the play, all pieces are formatted for ease of performance for voice (or melody instrument) and lute, lute solo, and lute duet. 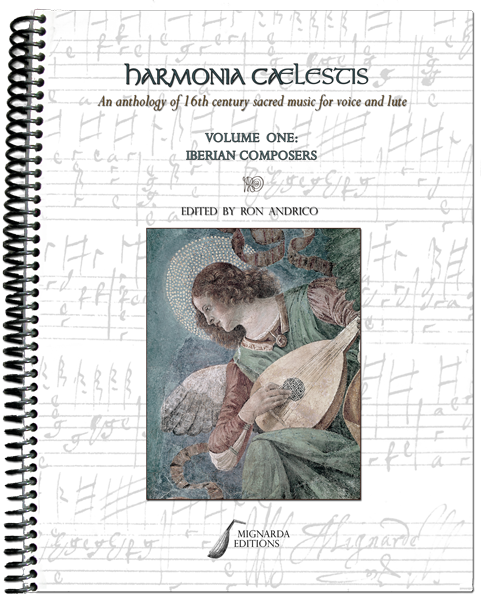 This edition has nearly 70 pieces of music, including unfigured bass realizations for lute and some alternative versions of songs pitched for higher or lower voices. At long last and after several interruptions, our performing edition of 16th century French chansons is now available. This wonderful music is featured prominently on our new CD, Au pres de vous, and contains many rare chansons newly arranged from original part-songs. Chansons are formatted for ease of performance with several intabulations for solo lute next to their vocal models. Since the popularity of 16th century French chansons was a pan-European phenomenon, settings are from a variety of sources, French, Italian, Flemish, German and English. 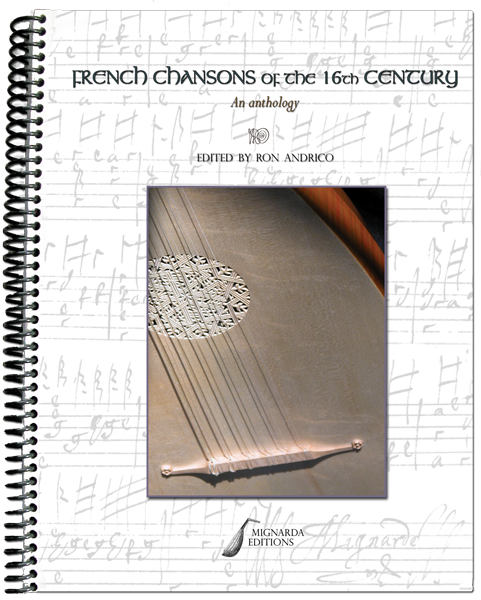 We're pleased to offer this edition of 42 rare chansons and lute solos at a cost of less than one dollar per piece. 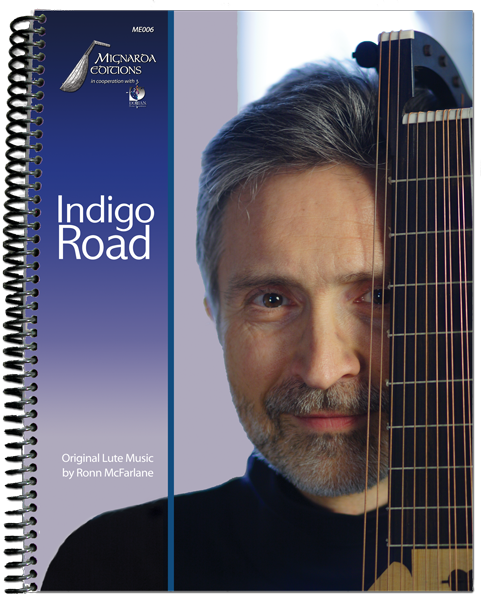 We're very pleased to announce that Ronn McFarlane's Indigo Road tablature edition is now back in print and available from our friends at the Lute Society (UK). Mignarda Editions is delighted to announce the release of Indigo Road, offering lutenists a chance to both hear and play Ronn McFarlane's haunting and imaginative original music. Released simultaneously with the Dorian/Sono Luminus CD of the same name, our edition contains exactly the same pieces that are recorded on the CD. Through a special arrangement with Dorian/Sono Luminus, Mignarda Editions is able to offer the book containing tablature scores separately or together as a package with the CD. The compositions are conceived for a 10-course lute in Renaissance tuning, but may also be played on an 8-course lute. 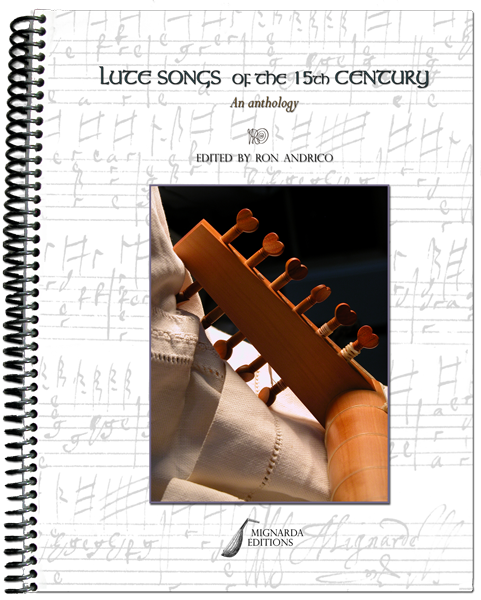 This edition contains only the lute solos (without added instrumental parts) as they were originally conceived. Volume One of Mignarda Editions' long-awaited performing edition of the Bottegari manuscript is now available for shipping. 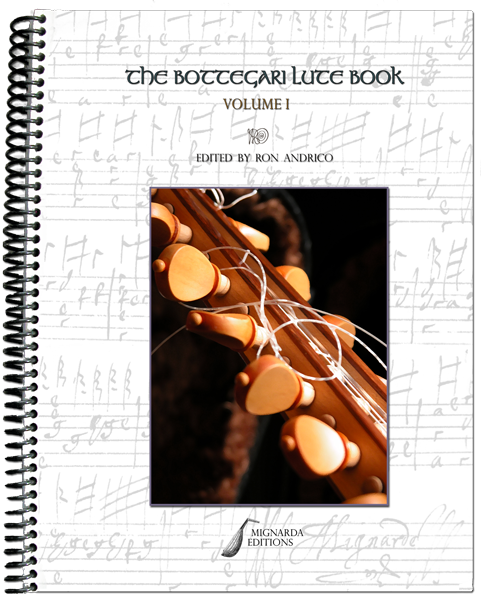 The Bottegari Lute Book: Volume One contains music for voice with lute from the manuscript, including all the sacred music with Latin and Italian texts, the complete lute solos, and some of the more important settings of madrigals arranged by Bottegari for solo voice with lute. The edition is formatted for performance and only one exceptionally long piece has page turns. Mignarda Editions is very pleased to present an anthology of music from late fifteenth-century France and Italy. The edition consists of chansons by composers Bedyngham, Du Fay, Ockeghem, Busnoys, Walter Frye, Ghizeghem and Robert Morton. 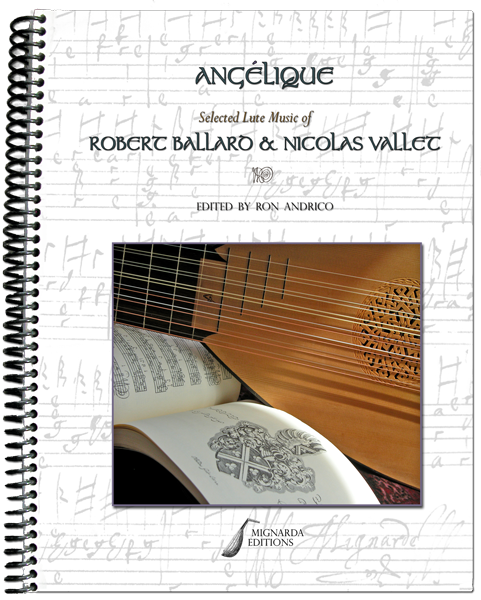 Also featured are settings of chansons for lute solo from the Capirola manuscript as well as new arrangements. Included are texts, translations, and editorial notes. As always, Mignarda Editions are carefully formatted for performance with text underlaid and no page turns. 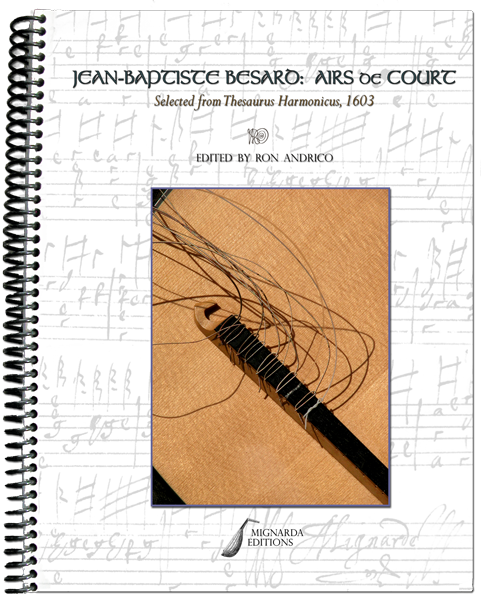 Mignarda Editions presents a rare selection of airs de court from Jean Baptiste Besard's 1603 printed work, Thesaurus Harmonicus, a publication famous for its errors. Included are newly corrected versions of the six familiar airs from Respighi's Ancient Airs & Dances. The cantus of each air is transposed to conform with a lute tuned in G. The edition includes variants, translations, lute solos, and performance notes. 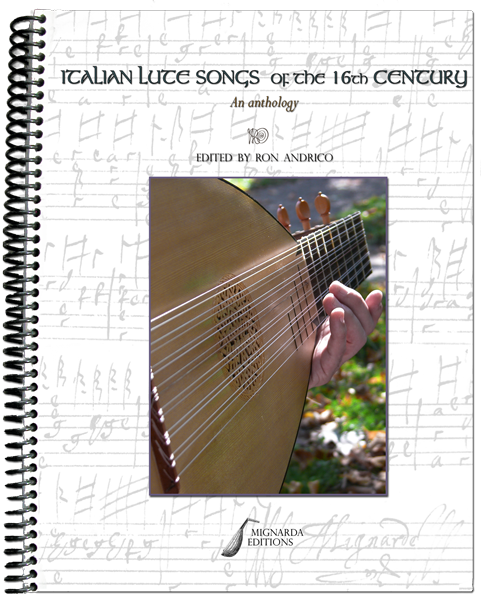 This second volume in Mignarda Editions' series of lute songs presents both rare and familiar Italian frottole, madrigali and lute solos by Marco Cara, Sebastiano and Constanza Festa, Bartolomeo Tromboncino, Josquin, Phillipe Verdelot, Giovanni Matteo Asola, Luca Marenzio, Francesco da Milano and others. Several vocal settings are paired with intabulations for lute solo of the same piece, either from original sixteenth century sources or arranged by the editor for performance purposes. Also included are fantasias and recercars that are linked thematically to the vocal pieces. All songs are set for a lute tuned in G and most cantus parts are in the treble clef. Hippolito Tromboncino, a mid-sixteenth century Venetian singer/lutenist, is overshadowed by and often mistaken for his more colorful predecessor, Bartolomeo. His imaginative and highly decorated lute songs, found in the Bottegari manuscript, appear to represent the oft-depicted sixteenth century practice of playing the lower voices of a madrigal on the lute while singing an ornamented version of the superius. 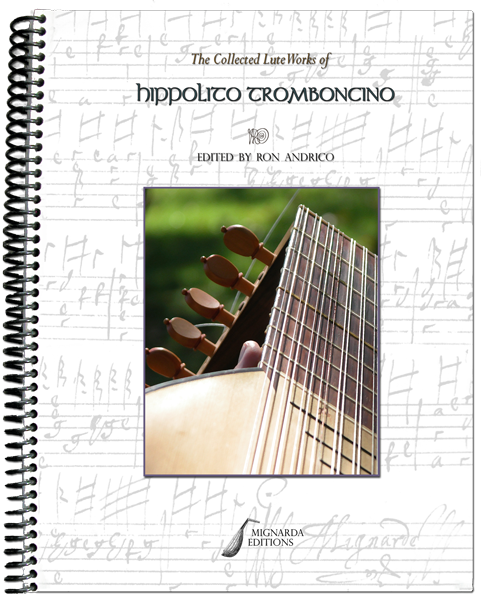 This edition contains the six known lute songs of Hippolito Tromboncino along with three fantasia/ricercars, two of which are of questionable attribution. French tablature for renaissance lute in G and treble clef. 20 pages, spiral bound. $35.00 + 1st class USPS international shipping/handling. 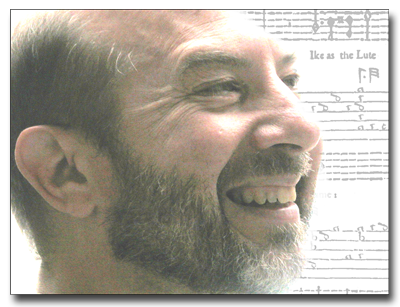 Ron Andrico is a specialist in historical music for plucked strings and has had an active career in solo and ensemble performance, vocal accompaniment, recording, as an arranger, and in music for theater. Since 1995, he has been concentrating on the lute and is known for his work in editing historical sources of lute music, producing results both scholarly and practical. He is the author of the internationally-popular blog, Unquiet Thoughts. "I have been meaning to write and compliment you on a fine edition. I use it every day with my archlute. I find it to be clearly set and a delight to read. Thank you for this fine work." "Congratulations on your lovely editions. You have some great ideas, and the layout is very user-friendly!"